It's time for holiday parties! 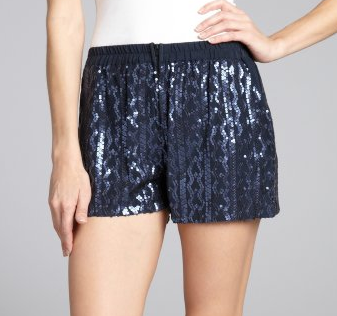 While I used to buy a new cocktail frock every season, now I try to think a little more outside the box - how about sequin shorts this year! Wear with tights and some silver heels! Buy at Bluefly for the sale price of $119.